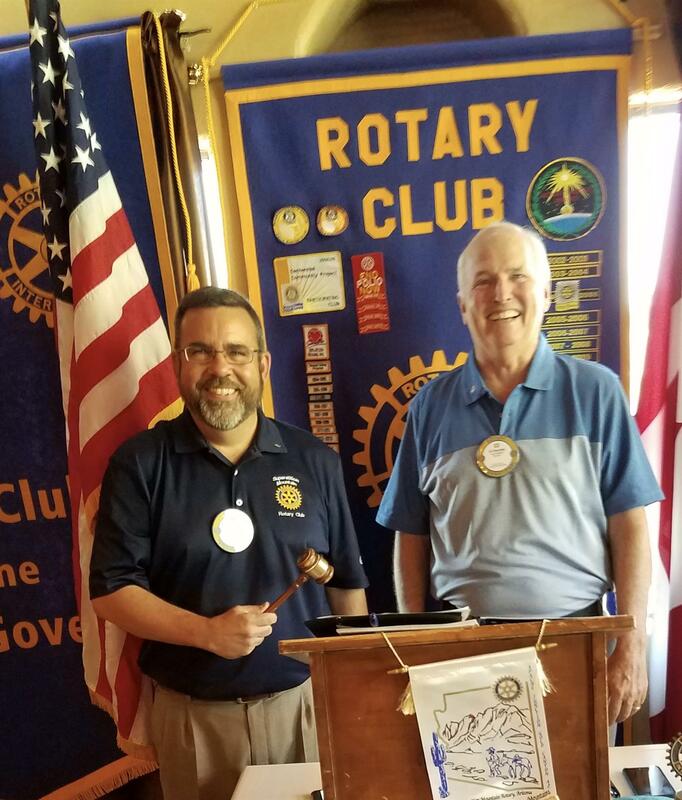 Incoming president Matt Ruppert accepted the gavel from Ed Shockley on July 11. Our first service project of the year will be in August, at the Apache Junction Food Bank. The exact date has yet to be established.